The Finance Bill is to contain a provision which will adjust a loan-to-value restriction on the Government's first-time buyer scheme. Originally the Budget stated that home buyers would have to take out a mortgage of at least 80% of the value of a home to qualify for the grant. However, there were concerns raised by the Central Bank that buyers with larger deposits would feel under pressure to increase their mortgages to 80% to avail of the grant. That is expected to prompt the Government to change the loan to value restriction to 70% instead of the earlier 80%. The development follows contact from Philip Lane, Governor of the Central Bank. He had been in discussions with the Department of Finance on the issue and followed up with a formal letter this week. The bank's research found that the average loan to value for first time buyers was 78.7%. The Finance Bill, which is due to be published tomorrow, is also expected to include measures to close tax loopholes used by so-called vulture funds. Last month Finance Minister Michael Noonan shut a loophole used by companies set up under Section 110 of the Finance Act. Tomorrow he is also expected to move against Qualifying Investor Alternative Investment Funds (QIAIFs) and Irish Collective Asset Management Vehicles (ICAVs). A number of legal provisions had allowed these financial vehicles return profits to investors tax-free. They had originally been set up with the intention of being used by foreign mobile finance, including securitisation, which benefitted the economy by providing additional liquidity to banks. The original intention was that investors would then declare the profits in their own country where it would be taxed. However, it is understood the Department of Finance had not intended that the financial vehicles could be used for property investment, which is usually taxed locally and is not mobile. Making the profits subject to tax will not be retrospective. There has been a surge in activity by vulture funds, which have been buying up property loans from NAMA and banks since the property crash. 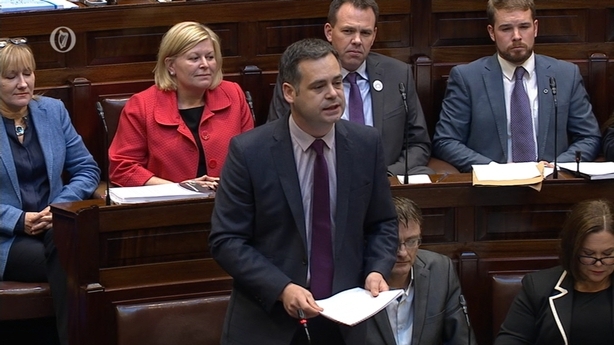 Meanwhile, Sinn Féin Finance spokesman Pearse Doherty said prices for new homes had already risen by €45,000, and traffic on the property website myhome.ie had increased, even though there were no new homes. Speaking in the Dáil, he said this was the result of the Government's help-to-buy scheme, which he described as idiotic. 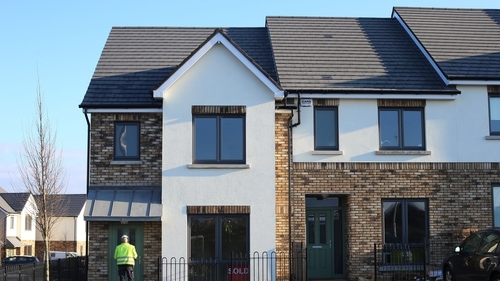 Taoiseach Enda Kenny said houses have been sold this week where prices had not risen, adding the bill dealing with the Budget would be published tomorrow. Earlier during Leader's questions, Mr Kenny acknowledged the criticism of the new scheme, referring to discussion around the "head room beyond the 400-600 limit". He said the Minister for Finance had made a number of small changes to the bill and he was prepared to discuss this.